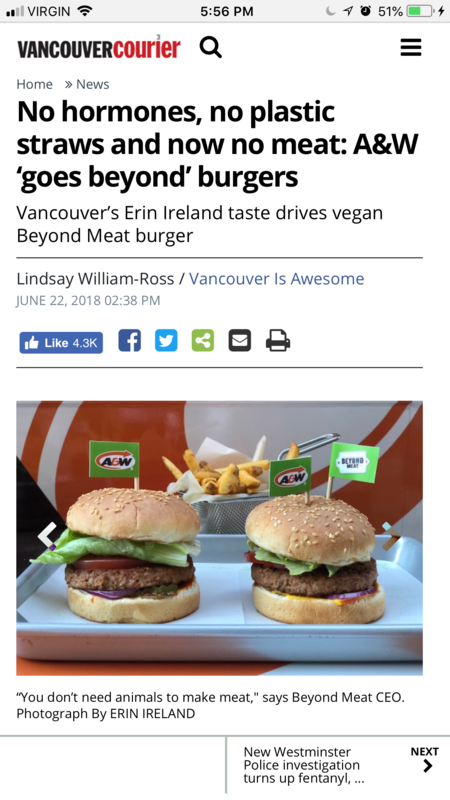 On July 9th All 925+ a&w restaurants in Canada started selling the Vegan beyond Meat Burger, but since then there has been some drama. In this video I share why and my thoughts on the whole matter. When I first heard about the beyond meat burger around 2 years ago I must say that I was intrigued enough to even say “I want to try this burger”. 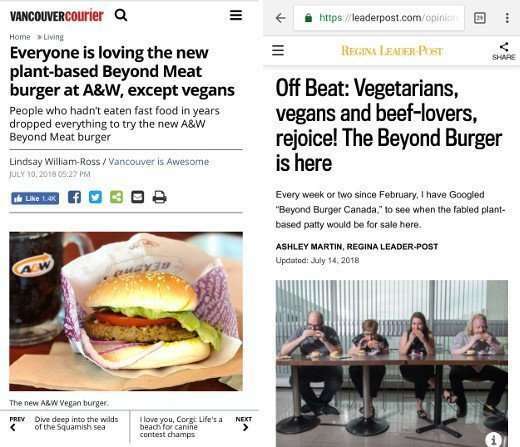 Fast forward to the present, when Beyond Meat announced it was coming into A&W restaurants across Canada I was surprised but also in other ways it really makes sense. Here in Canada A&W is at the forefront of the pack in regards to being the best quality / health / environmental conscious fast food burger chain around. They fully support and promote hormone free, GMO free and sugar free products and continually are aiming to improve their quality and reach. In sharp contrast everyone I know from the states says that the A&W locations out there are known widely as one of the more ghetto burger joints. Not surprisingly they are actually run fully differently in the states and not affiliated with the Canadian chain. Because of this there is the divide in adding this Vegan Burger Patty to the menu in locations outside of Canada, something many US vegans are sad about. “Vegetarians, Vegans and Beef-lovers rejoice, The Beyond Burger is Here!”. I 100% understand the drama that was stirred, as a vegan of 15 years and raw vegan of 14 it would bother me to have a vegan burger come out, finally, but then not be fully vegan. This all said a week after their debut, and lots of angry vegans, I called 4 locations in Saskatoon to get the scoop. Each time in a voice that said they have answered this many time they happily let me know that they have all been given expressed instructions to clean the grill every time they are cooking a Beyond Burger. Still they went on to say that they can not guarantee they are 100% vegan due to the possibility of human error / a rush etc. This may be enough for some vegans and not enough for others, which I fully respect. 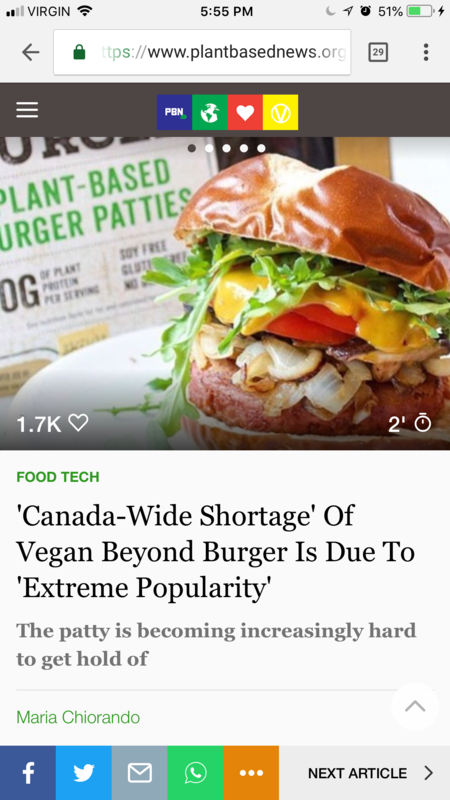 “Canada Wide Shortages of Vegan Beyond Burger is due to ‘Extreme Popularity'”! 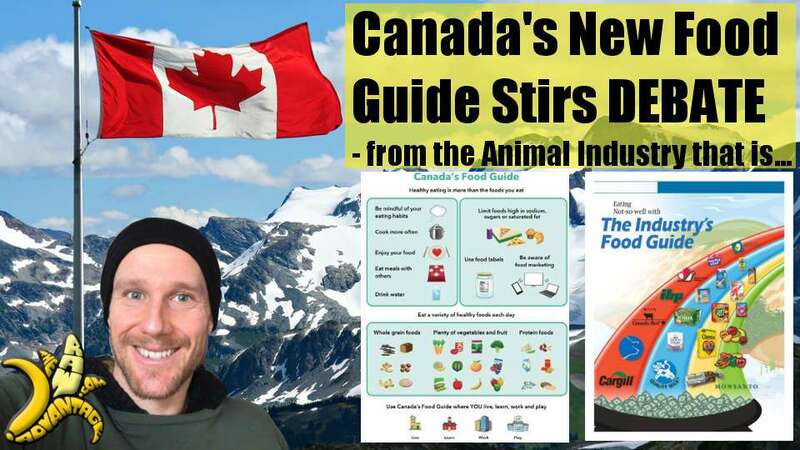 I really think that the amount of information coming out these days in studies and in documentaries like “Cowspiracy” and “Forks over Knives” etc that more and more people are ready for a change. Sure, not Everyone is going to go 100% vegan over night but ever time someone chooses a Beyond burger over a meat burger animals are saved, water consumption is reduced, land usage is reduced, carbon emissions are reduced etc. 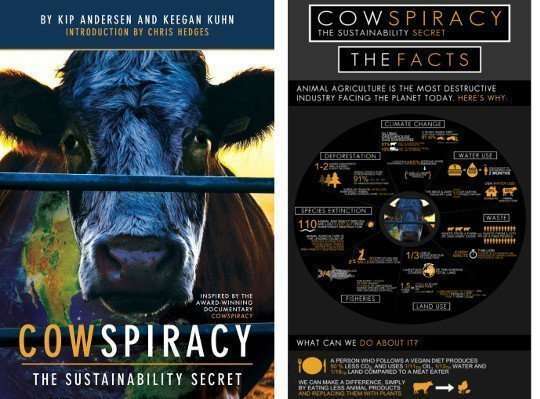 To me this is a huge win and as a aside I highly recommend you check out the documentary “Cowspiracy” if you haven’t, below is some info from the amazing documentary. I really think its important to consider that this is a learning curve and one that I am sure will only bring more options and people to see veganism as a viable way of living. I would love to see A&W come out with vegan mayo / uncle sauce / teen sauce, bring on a quality vegan cheese or two and even figure out a dedicated grill / oven for the Beyond Burger. This is a giant step toward healthier more humane options that will have a great impact on the mainstream and hopefully other restaurants. As I said at the beginning of the article I have been interested to try the beyond burger since first hearing about it. Truthfully I have no interest in making them a regular part of my diet but am genuinely curious to see what it is like for myself as well as to know so I can more accurately recommend it. 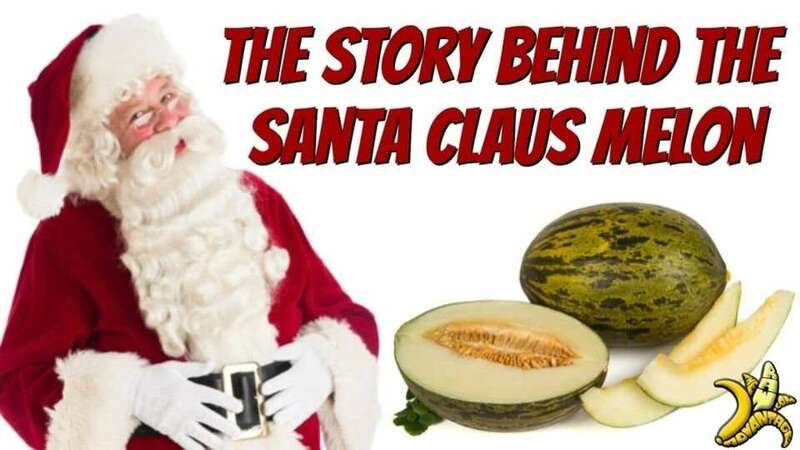 The only real reason I have had any hesitation is the potential discrimination / lack of understanding from other raw foodist, or rather the fear that I would be judged or rejected by my audience, which truthfully I think would be very minimal. With introspection and honesty coming from fear or worry of others judgement is not a place I would want to live from, I would much rather honour myself and grow through my experiences. As a example, a year and a half ago I tried Daiya cheese in a few ways due to being genuinely curious. A friend from Sweden came to stay with me and expressed desire to try Canadian cuisine such as Poutine. Since vegan cheese sucked when I went raw 14 years ago and over the years I had heard amazing things about Daiya I decided I would make us both vegan poutine using the daiya. It was a fun and tasty experience, one I am happy that I honoured my desire to try but in the end it didn’t change my views nor conviction to live breathe and share the raw vegan lifestyle. 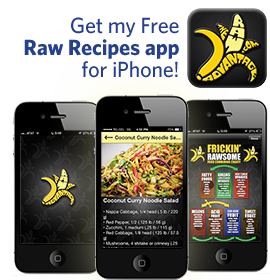 I haven’t always come from this place and truthfully years ago I wouldn’t have been able to emotionally try such food without serious cravings and potential consequences. Respect and knowledge of oneself in the moment, coming from a compassionate place that honours self and others in their journey has and always will be at the forefront of my beliefs and message. 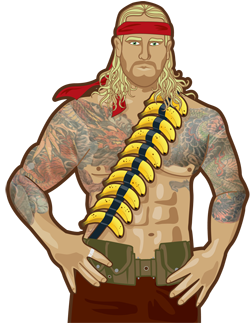 In the end I often say I am 100% raw 99.9% of the time, some questionable spices, frozen pea’s / corn, coconut milk slip in here and there which I feel great about. I could go on n on on this topic but perhaps thats a separate post or two or three. 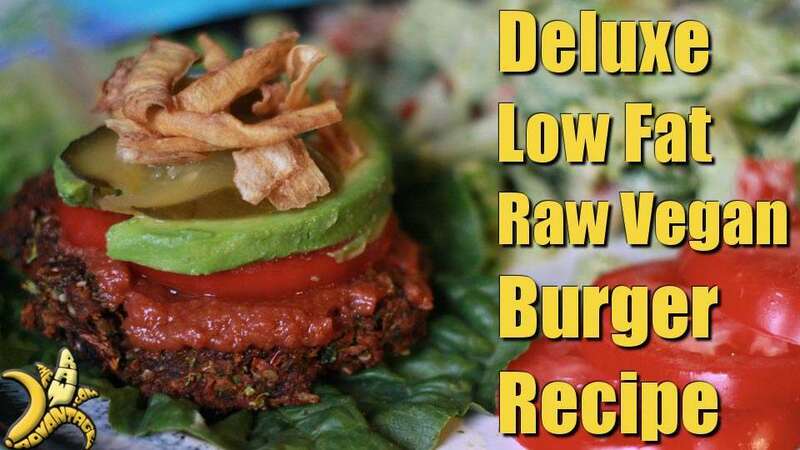 All of this may have you cravings a delicious Raw Vegan Burger Recipe?! Check out my Fave one here! 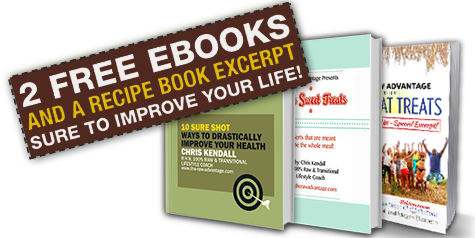 Be sure to check out my Rawsome Recipes Playlist for many Free recipes! Vitamix Blender with FREE shipping here! Go for it! It’s your body, your choice! No judgment necessary. First, I was sorry to read of your crash, and am happy to know you are in one piece. I just read recently that perfection is boring. I say, live each day and try new things, who knows, maybe you eating a COOKED?! vegan burger on video will help others with their own debates in that area. We are here for a short precious time… Isn’t the purpose for eating raw, health?, (and fun and taste), So mental health; lightness and play is part of that, right? I would love to see you be a perfectly non- perfect raw vegan and bite into a A&W burger! – but only if you want to! Also, do u have Myokos, Fresh Vegan Mozz, and VeganButter, In Canada? I kind of assume it’s raw because it’s cultured cashews, and white in color, but i haven’t read into it. Its nice. Ohhh I haven’t seen that brand of raw vegan Cheeze, by I’ve heard of it n it sounds pretty tasty! Great video. I wouldn’t eat but I agree it is a good burger for those that eat too much meat. I like your attitude about it. I respect Vegans even though I’m a raw vegan. They are eating and respecting the environment. 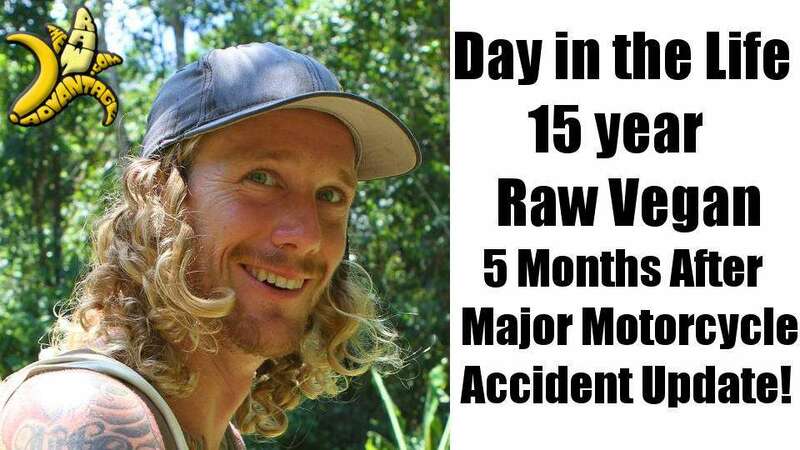 I too was a SAD diet eater switched to vegetarian, then vegan and since 2002 I’ve been a raw vegan. It is a transition sometimes and a good one.